having like kind of this phone was very enjoyable when fighting with mah bf he can just throw it but still workin.. haha love it! This was the first phone of my family.. Firstly my father used it then my elder sister and after that me.. M using this phone from past 6 years.. This phone is 11 years old but still its working.. 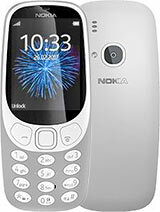 I have purchased lots of other phone but i always use to keep two phones.. And 3310 is fixed in one of the two... I love this phone very much..
its my first phone and is of coirse the best phone ever made by nokia. i am using it for the past 6 years.... its my lucky phone....really a treasure to me. The size is perfect and comfortable!You actually use your finger tips on buttons and not your nails like today's phones. The sounds are good,but if put in a pocket,then the ringing is blocked for some reasons.But other than that,it is a very rugged,sturdy phone.It is an evergreen piece!! !Too bad they don't make it no more:-( But I still have one and it's still working and the screen is I think almost scratch proof with the magnefying lens. dis is my first phone..given by my mom..love it..and its really hard for me to let go of this phone..
My very 1st mobile phone. Very durable!!! this was my first phone, relly liked it. I remember the days when i first have it several years ago and i was very excited... It feels like im the richest among with my friends....i still have it right now but i feel pity for myself when this high end mobile phone came out...... anywiez its something to be proud of coz its still alive functioning well.. its a collection item that i have to keep... tenk You Nokia.... make more durable unitsw like 3310... yeah baby...!!!! OMG very cute phone is this phone still out? is it videocall capable? i want to purchase one could i use my carabao for payment? subs called in cant access WAP using this phone: informed sub that this is not a GPRS capable phone: tanga! Incredible phone! For me, the best Nokia phone ever built.